Rekeying for all types of locks is the act of pulling apart the lock to re-key or change the pins and tumbler combination in the barrel itself. It basically creates the need for a new key without getting a new lock. A few common question people often have about it are (one); why should we do it? and (two); why don’t we just replace the locks? If you, like most people, don’t realize how important it is to have your locks re-keyed, you might want to reconsider. There are a dozen benefits to rekeying your locks. It’s quick, affordable, and guarantees absolute security. Whether it’s a flat, an apartment, or a newly-bought house, you have absolutely no idea how many people own a copy of your key. It’s not as improbable as you think. Unless you built the house with your own two hands, you don’t know who the old tenants gave copies of their keys to. Cleaners, maintenance people, staff, security detail – all these people have good reason to obtain a copy of the key to your house, and you have no way of knowing if they dropped it or lent it or left it somewhere for other people to find. This isn’t paranoia; this is common sense. You can usually copy a key for under ten bucks, and it’s a very simple process for someone who knows what he’s doing. Don’t take the risk. The moment you move into a new home, rekey the door locks to protect your security. 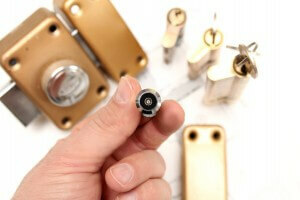 A local locksmith can rekey all your locks at a quarter of the cost it would take to buy new locks and replace them. It would be a lot quicker, too. It’s best to replace the locks altogether if they seem old or out of place, or if they’re in danger of falling off the door. Otherwise, as long as they’re still sturdy, rekeying is a lot faster and a lot more affordable. Another benefit of rekeying would be convenience. 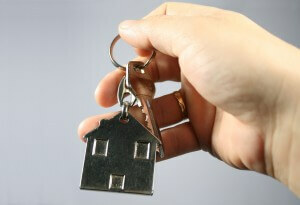 A lot of people would prefer one master key for all the locks in the house, as opposed to multiple keys on a keyring. Rather than buying the same lock over and over for all the doors in your house – front door, master bedroom, master bathroom, etc., – why not buy one new lock and have the rest of the locks rekeyed to match it? In effect, you create a sort of restricted key system that allows you control over access. Not bad for a phone call to a locksmith and an hours’ work, give or take. Don’t mess around with security, and don’t take any chances. For service that’s fast, affordable, and reliable, local locksmiths in Brisbane offer rekeying for all types of locks and other services like key-cutting. So call in the professionals and have your locks re-keyed while you wait.